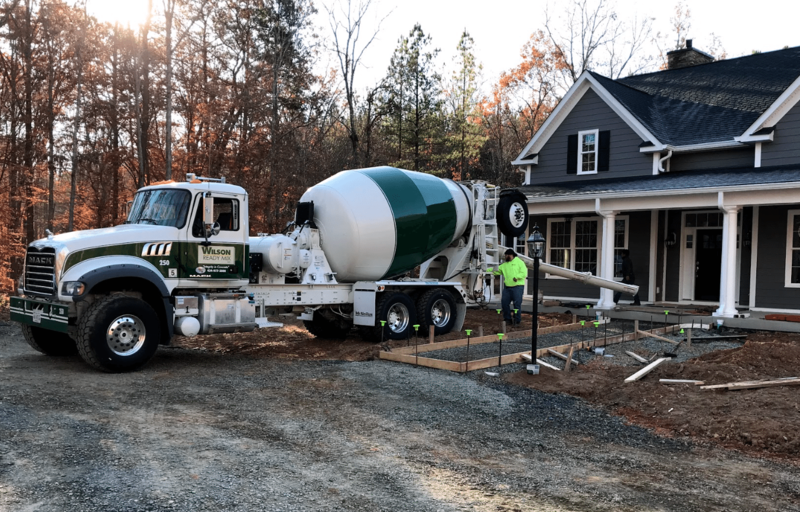 Reynolds Contracting specializes in a variety of construction services, including earthwork, foundation repair, landscaping/hardscaping, and more in the Central Virginia area. 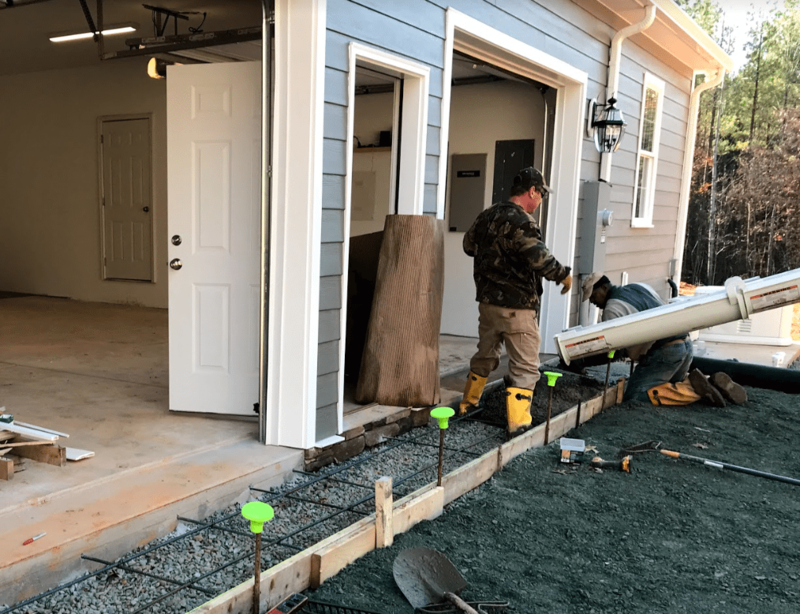 With our expertise in Gordonsville concrete and sod installation, we recently helped a family in the final stages of their new home construction. First, we poured the front sidewalk. This new concrete sits next to the existing front porch, which was poured at an earlier date. We worked carefully around the new home, using caution around the beautiful pillars and facade. We work alongside other contractors on many jobs, and our friends at Wilson Ready Mix worked efficiently and professionally on this project. Next, we poured a concrete apron for the garage on the side of the house. This area creates an easy transition from the garage floor to the gravel driveway. The apron gently slopes down to the surface of the driveway, creating a smooth entrance and exit from the garage. We poured this small section at the same time as the front sidewalk to work most efficiently with the ordered materials. For the final step, we installed sod around the newly installed sidewalk and other areas of the curtilage. This time of year, sod easily takes root and requires less water than during warmer months. 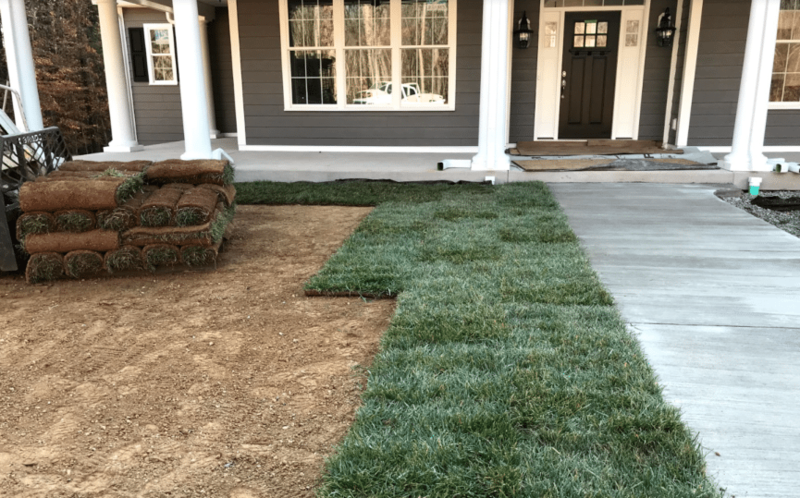 Sod creates an immediate finished look, while keeping mud and dirt at a minimum — keeping the interior of the house cleaner, too! It was a joy to put these finishing touches on a dream come true for this family! For all of your Gordonsville concrete and sod installation, contact us 434-293-6724.